As part of our ongoing commitment to help the wonderful community we live and work in, it was great to see works start in approving the allotment facilities at Greenlinks on Monkton Road this week. 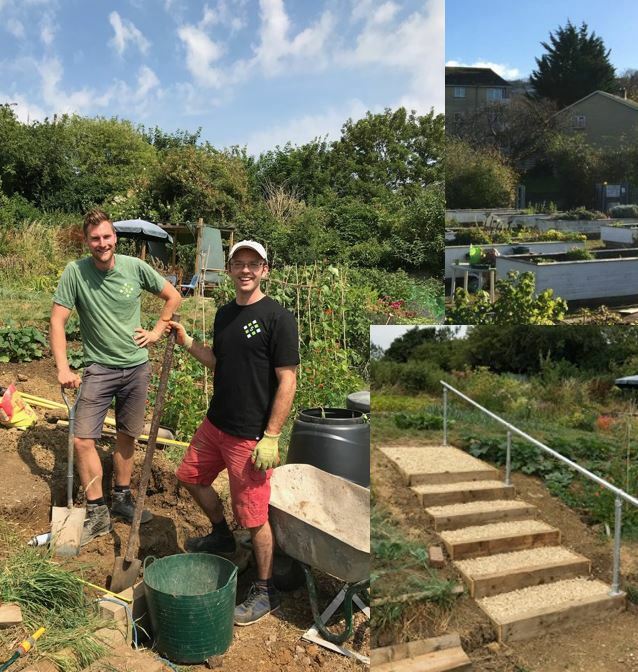 Earlier this year, we added £1000 to the money so kindly donated by our wonderful clients and this is going into providing easier access to the allotment, run by Bath Mind. A new set of steps and accompanying handrail are currently being installed by the team at Selby Landscapes, who will also be improving the seating area there. We hope this will be enjoyed for years to come.